FSC series cable provides an economical conformal cable replacement for applications requiring greater flexibility and bending cycles. 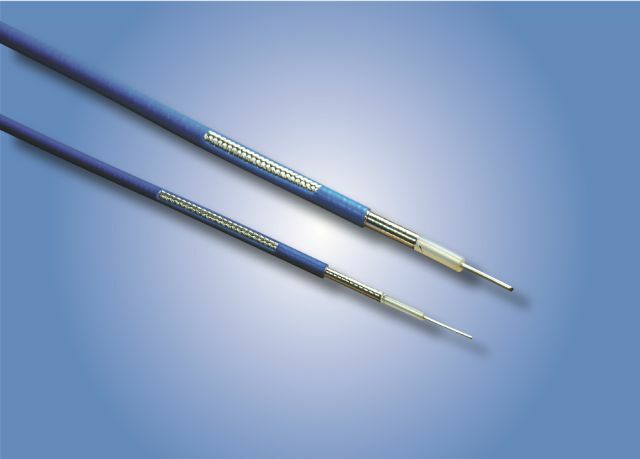 This series matches the performance of Times TFlex cables and uses the same connectors as standard semi-rigid cable. This cable is constructed with a silver-plated copper center conductor, solid PTFE dielectric, silver-plated copper tape outer conductor, and silver-plated copper braid shield, and blue FEP outer jacket. Typical applications for FSC series cable are test setups, interconnection, and instrumentation. It is available for quick delivery, with customization, and no MOQ.